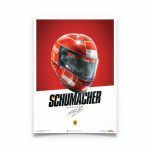 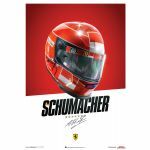 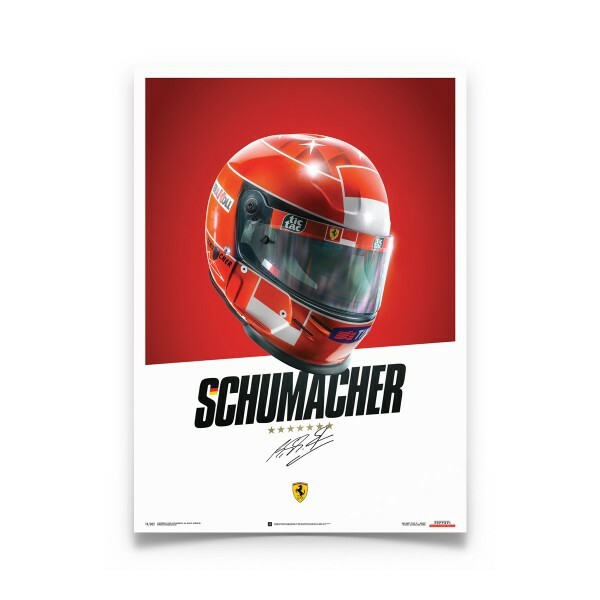 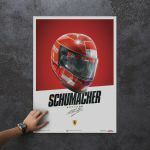 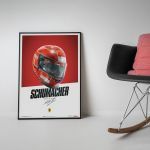 This design poster celebrates this extraordinary accomplishment and honors Michael Schumacher’s 50th birthday by featuring his 2000-season helmet. 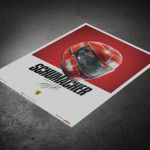 It has been recreated in awe-inspiring detail using 3D-modelling and 3D-scanning of the actual helmet, and took our team of specialist artists, technicians and designers several months to complete. 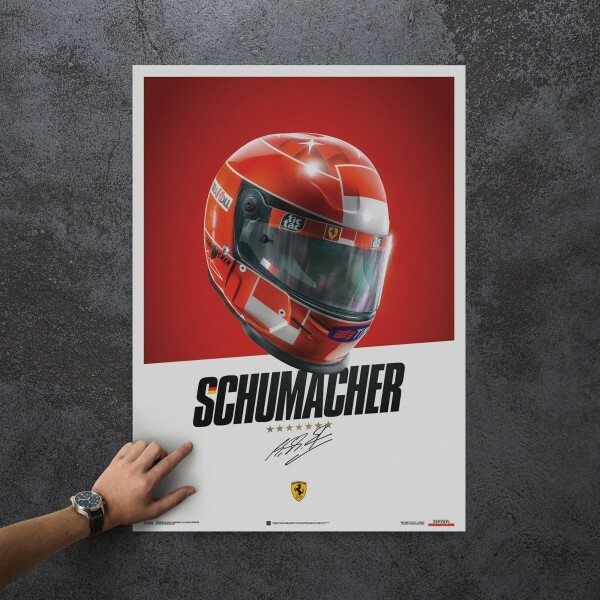 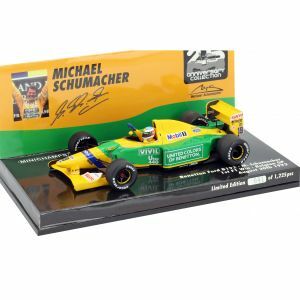 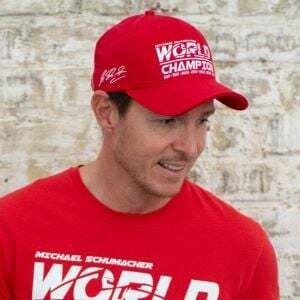 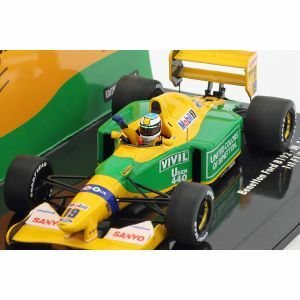 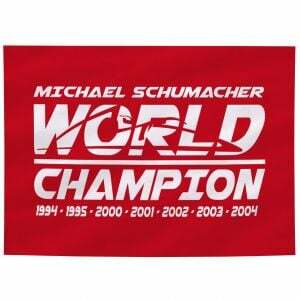 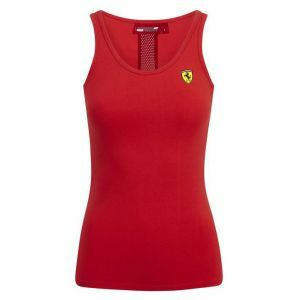 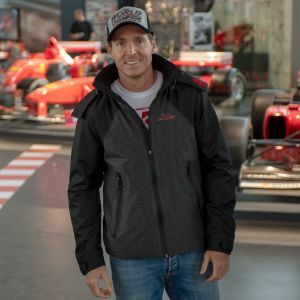 By owning this bold reminder of a historical F1 moment in the form of a poster, you will also be donating to Keep Fighting Foundation, a non-profit organisation founded by Michael Schumacher's family, life-long friends and colleagues.